Augustine Miles Kelechi aka Tekno, was born December 17, 1992 in Bauchi state. He is an indigene of Ebonyi State, his father is a military man in the Nigerian Army. Tekno Miles started playing piano and guitar at the tender age of 8. Tekno was discovered by rib-cracking comedian, Julius ‘the Genius’ Agwu in 2012, when he performed the remix of Ice Prince’s “Oleku” song titled “Onye Ne Kwu”. That was the beginning of his rise to stardom before he got signed to Made Men Music Group, on October 5th, 2013,owned Kukere crooner Iyanya, and Ubi Franklin. He relocated to Lagos and shot into limelight after releasing “Duro” and ‘Wash’, the remix produced by DJ Coublon featuring Phyno and Flavour Nabania in 2015 and 2016 respectively. 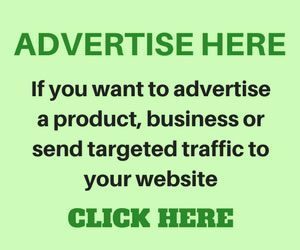 Tekno latest song, ‘Where’, was produced by Selebobo which is currently making waves. His songs have unique mix of afrobeat, highlife and hip-hop sound. Tekno won the “Best New act of the Year” at the Nigerian Entertainment Awards 2014 for his songs titled Dance” and “Anything”. Tekno music is inspired by American singer, Chris Brown because of his dance moves. He is admired by most youngsters because of his dexterity in dance and hip-hop style. UPDATE 2018: Tekno signed a $4 million deal with SONY ENTERTAINMENT , a company which many believed is devilish and is part of the illuminati. Many think also that Tekno may have joined the illuminati because of this deal. Other nigerian artiste who are also involved in SONY deal include Tiwa savage of the mavin crew and Popular musician, Wizkid. Recall, that Michael Jackson, late king of pop and dance was said to have sold his soul to the devil after signing a life long deal with SONY Music and it was rumored that they killed him. Most of Davido’s new songs were written by Tekno. His net worth is estimated at $2.5 million according to Forbes. 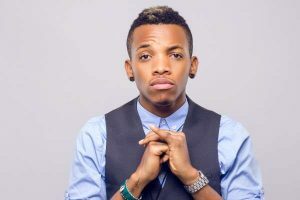 Tekno is one of Nigeria’s youngest artist whose popularity has spread not only in Africa but also on the global stage. He is also a dancer, songwriter and even a producer. Apart from the popular Tekno songs which we are accustomed to, he has written a lot of songs for top hip-hop artists like Wizkid and Davido. In this post, we provide information about Tekno’s biography, his estimated net worth according to Forbes, the girls he has dated, his life style and even the recent surgery he underwent for his voicebox this 2018. Tekno was born 17th of December 1992 in Bauchi state. Although, he hails from the South-eastern part of the country and speaks Igbo and English languages frequently. Before his emergence into the music industry, he had travelled to various states in the country with his parents. He started music when he eight years old. According to Tekno Miles, he played guitar and piano which where his favourite instruments while he also enrolled in a music school. Tekno first signed for K Money Entertainment Group. This was where he released his first single titled “Holiday.” His success in the music industry began when he connected with Davido, one of Nigeria’s richest musicians. In fact, in one of Davido’s songs, Tekno’s vocals were used and were really impressive. This created popularity for the superstar. Miles also performed in Abuja at an entertainment event in 2012 which saw him receive an ovation and applause from the crowd. It was his song, “Onye Ne Kwu” that made the event glamorous. At this show Tekno met Ubi Franklin and Iyanya. Tekno Miles signed with Made Men Music group in a bid to continue his musical career in Lagos. Under this record label, he released some interesting singles such as; Anything, Dance amongst others. This saw him get nominated for the Nigeria Entertainment Awards in the year 2014. Miles didn’t stop there and released another hit song titled “Duro” in 2015. He was even ranked among the top 20 richest musicians in Nigeria because of his fame in the industry and fortune. His songs still tops the African charts both locally and on the global stage. The talented artist caught the eye of Sony Music after one of his singles went viral. The earned him his first international contract with the best music record label in the world. He later released Pana which was a love song which topped the billboard for a long time. Tekno can also dance as his body is very flexible. He has been nicknamed the Nigerian Chris Brown. His fan base on the internet is massive and is still increasing. An interesting fact about Tekno Miles that you may not know is that he has tattoos on his body and although he does not like the idea of smoking or drinking alcohol, he has been caught smoking a lot. Tekno Miles has won series of awards in his career but we would mention some of them. He has also been nominated for the best in the music industry. Some of his nominations and awards include: TV Africa Award; Best West African Video; Best Afro Pop Video; African Video of the Year; Best Act Of the Year 2014. Tekno Miles estimated net worth is $2.5 million according to Forbes this 2019. Tekno has many cars. In an online report, it is rumoured that one of his vehicles cost N75 million. Since he lives an expensive life style, its only proper that he has mansions both in Lagos and in his home town. Some of his cars include: Acura purchased at N17.6 million, BMW X6 valued at N24 million and a Mercedes Benz CLS 550 which he bought for N30 million. 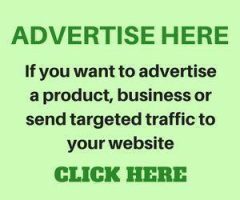 Tekno Miles is a brand ambassador to MTN Nigeria, a giant multi-national telecommunications company which is his first biggest endorsement deals since he became so popular in the music industry. It is rumored that he signed a contract worth N18 million with the company. Also he signed a contract with Sony Music Worth $4 million dollars. Other artists like Tiwa Savage, Wizkid, Davido and even D’Banj are also signed to this record label. It was announced by Tekno’s management on social media that Nigerian afro-pop singer, Tekno Miles, a.k.a Slim Daddy would be briefly away from the music scene as a result of the temporary damage to his vocal cord due to excessive strain he has put on it overtime. This would require surgery and would see the artist not appearing on stage until he gets better. Tekno has been a phenomenal singer and contributor to the Naija music industry. The fact that each of his singles just goes back to show the type of lyrical giant he is. 2018 when he had issues with his vocal cord, I was not tipping him to recover soon but he did it.